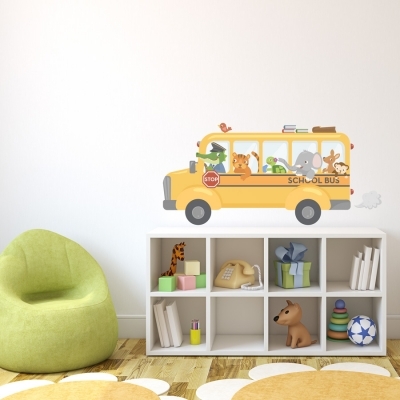 Inspire your kids to get an education with our animal school bus printed wall decal! Their favorite animals lead the way to learning. Great for classrooms. Available in 3 sizes.